This role will ensure that children’s records are captured, accurate and up to date. • Ensures that Plan International’s global policies for Child Protection (CPP) and Gender Equality and Inclusion (GEI) are fully embedded in accordance with the principles and requirements of the policy including relevant Implementation Standards and Guidelines as applicable to their area of responsibility. This includes, but is not limited to, ensuring staff and associates are aware of and understand their responsibilities under these policies and Plan International’s Code of Conduct (CoC), their relevance to their area of work, and that concerns are reported and managed in accordance with the appropriate procedures. • Promotes a culture of openness and transparency, including with sponsors and donors. • Holds self and others accountable to achieve the highest standards of integrity. • Consistent and fair in the treatment of people. • Open about mistakes and keen to learn from them. • Articulates a clear purpose for staff and sets high expectations. • Creates a climate of continuous improvement, open to challenge and new ideas. • Focuses resources to drive change and maximise long-term impact, responsive to changed priorities or crises. • Evidence-based and evaluates effectiveness. • Seeks constructive outcomes, listens to others, willing to compromise when appropriate. 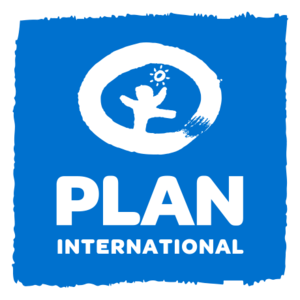 • Builds constructive relationships across Plan International to support our shared goals. • Develops trusting and ‘win-win’ relationships with funders, partners and communities. • Engages and works well with others outside the organization to build a better world for girls and all children.